Julia and Evan are a beautiful young couple attending Yale. Evan is a from a small town barely on the Canadian map with movie star looks and varsity hockey playing ability, the epitome of the sweet boy next door. Julia hails from Boston, well to do family, boarding school, long blonde hair and the confidence to match. 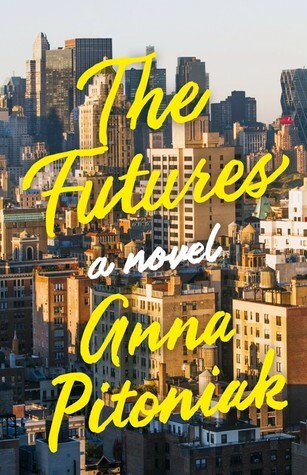 But after graduation Evan easily slides into an incredible finance opportunity at a hedge fund in New York City and Julia, for the very first time in her life, does not know what the next move is supposed to be. Always with a specific path at hand Julia had never felt this lost, unfulfilled and unpopular as she does in the bustling city as a “grown up”. As Evan becomes more immersed in a complicated sketchy project at work, Julia’s loneliness upends her decision making and she finds herself in her own erratic deal gone bad. The young couple learns about the real adult world of work, relationships and morality the hard way. With drink in hand and a young elite group surrounding them, the lines between right and wrong are easily and sadly blurred beyond recognition. I loved the way this novel interchanged Evan’s story with Julia’s - each chapter reminding the reader that perception is everything. This fast paced, well written novel had me wanting more until the very end, just as a great novel is supposed to do. 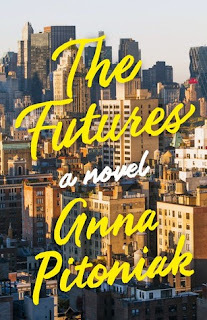 Highly recommend this coming of age, enjoyable debut read and looking forward to more from author Anna Pitoniak! Nice review. I agree that Pitoniak's writing was strong and I'd definitely like to see more from her. That being said, I didn't like The Futures as much as you did. I found Julia so annoying, that it was hard for me to get past. Not liking characters isn't usually an issue for me, but in this one it really was! I agree, I she was so annoying and negative but some of it was typical and honest of a young person and the college pressure after years of parental perfection. I also have to admit - I have a son at Yale and could picture every detail, so I couldn't resist! Thx for the feedback! !